Scholars of religion and policy makers may be surprised at the changes occurring on the second largest island of the world that straddles one of the most Christianised and least Christianised areas of the world. This book provides an accurate and deeper understanding of the nature of Islam in Papua New Guinea, and determines the causes and processes of recent growth in the country’s Muslim population. 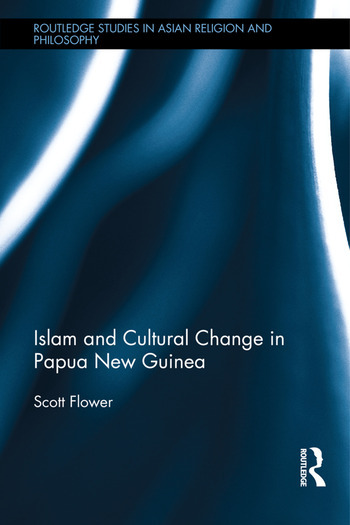 Combining ethnographic, sociological and historical approaches to understanding Islam’s growth in Papua New Guinea, the book uses extensive fieldwork, interviews and archival records to look at the establishment, institutionalization and growth of Islam in a country that is predominantly Christian. It analyses the causes and processes of conversion, and presents a new analytical approach that could be used as a basis for analysing Islamic conversions in other parts of the world. Presenting an interdisciplinary approach to the study of Islamic conversion thorough the examination of the causes and process of Islamic conversion in Papua New Guinea, the book is of interest to students and scholars of Asian Religion, Islamic Studies and Cultural Studies. Scott Flower holds a PhD from the Crawford School of Economics and Government, Australian National University and is an Honorary Fellow at the University of Melbourne, Australia.